Whether you’re retiring, you’ve decided to pursue a passion outside the security alarm industry, or you’re just looking to cash in some of your business equity, the time will come to put your alarm company or some of your accounts on the market. What do I need to do to prepare my alarm company for sale? Another question you’ll likely ask yourself is: How do I find qualified buyers interested in purchasing my company when I’m ready to sell? When it comes to finding alarm company buyers who are a good fit for your organization, you have a few options to consider. Perhaps the easiest way to find a buyer for your organization is to plan on having one of your trusted employees or children take the helm when you’re ready to step down. If you have someone in mind to take over your alarm company, implementing a succession plan is key. Having an idea of what will happen after you’ve passed the baton and handed over your company to a new owner, even one you know well and fully trust, will give you peace of mind and provide you with a roadmap for how to proceed when it’s time to retire or move on from your career in the alarm security industry. It can also help you ensure that the transition to a new owner happens smoothly. If you are not interested in passing your alarm business down to one of your most trusted employees or your children, you have the option to broaden your search for a well qualified buyer. Finding a well qualified buyer yourself can be challenging, though it is definitely possible. Should you choose to find a buyer for your alarm company yourself, you’ll want to market your company and advertise that it is for sale while making sure to keep your plans to sell confidential so your customers and employees don’t become uneasy. Be sure to keep your ideal buyer in mind when promoting your company so you’re sure to attract candidates who are interested in exactly what your business has to offer. You’ll also want to make sure that any buyers you are considering are fully vetted. Be sure to ask lots of questions and thoroughly investigate any purchasers you are considering. You’ll want to be certain that the individual you choose is fully capable of continuing your business’ legacy and providing the high level of service that your customers have come to expect. The easiest and most efficient way to find qualified buyers for your alarm company when the time comes to sell is by working with an experienced alarm company broker. There are many reasons to work with a trusted broker when selling your company, but one key reason is their ability to expose your company to numerous well qualified buyers while keeping the sale of your company confidential. Brokers can also help to guide you through the process of evaluating candidates and can provide assistance throughout the steps of the alarm company sale process that occur after you’ve selected a buyer. They can also share helpful alarm industry insight that can guide you as you navigate choosing a buyer and selling your business. 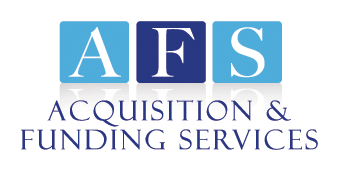 Find a Qualified Purchaser for Your Business – Work With AFS! You’ve worked hard to build your organization into a successful, profitable alarm company. When the time comes to find a buyer, don’t leave anything up to chance. If you have an idea of who will be taking the helm, be sure you have a succession plan in place. If you plan to go it alone to find a buyer, trust your instincts and be sure any buyers you are considering are fully vetted. If you plan to work with an alarm company broker, we encourage you to consider AFS. Check out the top 5 reasons many alarm business owners choose to work with Rory Russell at AFS when the time comes to sell their company. Interested in learning how AFS can help you sell your alarm company to a well qualified buyer for a significant profit? Contact Rory Russell today by filling out our easy online contact form, or give him a call at (800) 354-3863 (cell). How to Sell a Security Alarm Business – Learn about the five basic steps involved in successful, profitable alarm business sales so you know what to expect as you’re navigating the process. Keeping Your Alarm Business Up To Date Before a Sale – Find out why it’s advantageous to keep upgrading and updating your business, even if you plan to sell in the near future. Articulating Your Business’ Unique Selling Point – Read about how to appeal to potential qualified buyers by strategically highlighting what sets your business apart.